Essentially, ease of learning access means that we can pretty much learn what we want and where we want. Learning changes have been so rapid that many of us still aren’t sure of the lingo of this still, relatively new digital word. Even in the learning and development world, debates abound as to the correct terminology to use. Some people, for example, use online learning and e-learning interchangeably; throwing digital into the mix too. So, what do you know about the differences? Would you know, for example, the difference between e-learning, m-learning, digital learning, blended learning, virtual learning and online learning? If not, then you’re not alone. The key defining feature of e-learning relates to participation. Although the teacher may be delivering a cultural training course from Zanzibar to a student in Sri Lanka, the teacher is able to monitor student progress and interact with them in real time. The student might use online tools to send any work they have done to their teacher to have a look at. Online Learning on the other hand is defined merely by an internet connection. If a student has an internet connection, then they can engage in an online learning course. 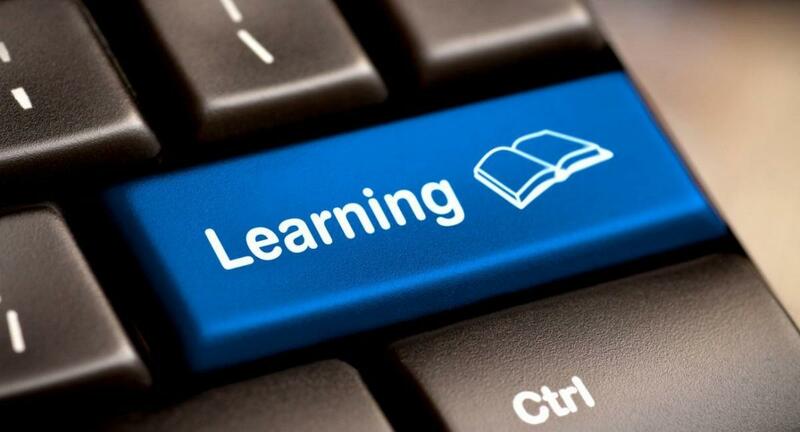 Online programmes might include internet sites which host essential training materials such as videos, articles, quizzes, or other learning tools. Online learning also incorporates the term ‘distance learning’. The only difference between the two terms is that distance learning was previously used to attract students who were unable to travel to classes. It reinforces that the learning can be carried out online ‘at a distance’. So, we now know the difference between online and e-learning, but where does virtual learning come into this? Virtual learning seems to be one of the most debated terms. While some define it as the sharing of learning via webinar type platforms, attended by a variety of different students, universities typically use the term to describe a web platform which consolidates the digital resources and activities relating to a particular course. This platform allows students to be assessed at different levels and holds stats relating to areas such as attendance and performance. Now let’s look at where the term Digital Learning fit into all of this. Digital learning refers to the use of technology in the learning process, so essentially, we can refer to e-learning, m-learning and online learning as digital learning as they all require technology to access the learning. The focus however, is well and truly on the technology being used such as web cams, laptops, i-pads. The term speaks more about technology enablement more than learning objectives. It’s important to note that learning is not always an either or…often learners engage in something known as ‘blended learning’. Blended learning is a mix of approaches which help the learner to get the best out of their learning. They might combine for example face to face and online learning, or, virtual learning and e-learning. They might also use a PC or a mobile device, hence the reference to m-learning.